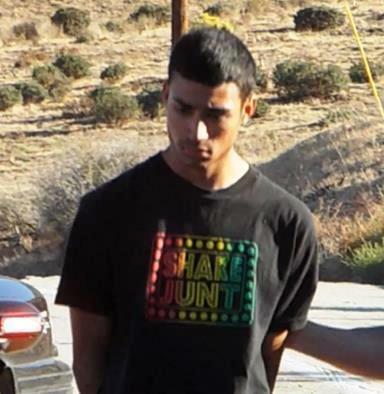 LANCASTER – A 19-year-old Palmdale motorist has been charged with four felony counts in connection with a head-on collision on Oct. 19 that left one motorcyclist dead and three others seriously injured. Jose Gutierrez is charged with one count of vehicular manslaughter and three counts of reckless driving causing specified injury, according to Shiara Dávila-Morales of the Los Angeles District Attorney’s Office. The teen was scheduled to be arraigned in an Antelope Valley courtroom Tuesday. However, Gutierrez did not enter a plea, and the arraignment was postponed until November 19. The charges stem from a head-on collision on Elizabeth Lake Road Saturday afternoon that killed 58-year-old Oxnard resident Peter Volden and critically injured three others. Gutierrez was driving a 2001 Infiniti G20 eastbound on the winding two-lane road when he lost control of his car, veered into the oncoming lane, and crashed into three westbound motorcycles, according to a California Highway Patrol report. Volden was thrown from his 2006 Yamaha XV 1900 and pronounced dead at the scene. Patty McBee, 55, and Richard McBee, 60, both of Moorpark, were ejected from a 2012 Harley-Davidson and hospitalized with major injuries. And Westlake resident Danny Rincon, 41, was thrown from a 2012 Yamaha and suffered major injuries, according to the CHP report. Gutierrez was arrested at the scene and later jailed in lieu of $50,000 bail. If convicted as charged, Gutierrez faces a maximum sentence of eight years in state prison, according to the Los Angeles District Attorney’s Office. UPDATED 11/19/13: Jose Gutierrez pleaded not guilty to the charges today in an Antelope Valley courtroom. A preliminary hearing on the case is set for Dec. 4, 2013. After the hearing, a judge will decide whether there is enough evidence for the case to go to trial. 82 comments for "Teen charged with manslaughter in motorcycle crash"
Hi, I have read all your comments. I have done a lot of thinking about what happened. I agree with both sides. My daughter passed away last year at 37. I was angry that she was in the ER 3 times in 6 days. She passed in less than 24 of being released. I wanted to blame everyone and make them pay. Maybe they could have saved her maybe not. I so feel sorry for all the families involved. I do agree people should be held accountable for their actions. I think now is the time to find another way to punish people of theses types of crimes. Our prisons are over crowded. I agree putting a good person in prison for a crime that was not done with the intension to kill or hurt anyone will do no good. It will just turn him into another parolee who can’t get a job. Which will teach him to now lead a life of crime. He has a job and works. I agree talking to teens at schools showing pictures and talking of all the thing that could happen. Maybe community service. Maybe helping out at rehabs for injured people. I just don’t she how sending him to prison is going to help anyone involved. If he pleads guilty make him Speak. To kids ext. Take his license for a year. Then put a restriction that says if he gets convicted of speeding of kind. He will have to serve out the original time he would have gotten. Thus keeping the prisons from being over filled. We have way to many people in prison. The people who are hurting. I do know how it is when someone dies at the cause of someone else. But sending a young working person to prison won’t bring anyone back. Maybe something good can come from this tragic loss. Change how people are punished. Help make better people out of them. Don’t turn them into someone most law abiding citizens don’t want working for them. Don’t want our daughters to marry. If he can change one person from doing what he has done would be so much better. Ok I know the law won’t change at least not now but I know we do need to change who goes to jail and who does not. I partially agree, The law governing “motorcyclists killed by auto/truck” drivers needs to be tougher! Last summer 2 cyclists on one motorcycle (a mom & dad) were struck and killed when a vehicle ran a caution light near Mesick, MI. The punishment – 1 day in jail! That driver should have gotten 25yrs to life….MINIMUM. So many stories like this. Makes me sick! Sadly I can honestly say I have driven recklessly at some point in my driving history. Thank God I never hurt anyone. We should all take a lesson from this sad event and stop talking on our cell phones, stop texting while driving, stop putting make up on while driving, stop eating while driving and slow down!! I love all these comments stating how Jose should have the book thrown at him for his reckless driving, I am going to bet those same people do not follow the posted speed limit when driving, whether on Elizabeth Lake Rd., the freeway, or any other road. My brother died has a result of a 19 year old turning left in front of him, he was on a motorcycle….her license indicated corrective lenses but she was not wearing them and in the police report she stated she saw a sea of lights but still turned. She was not arrested and our family did not sue. Looking back on it, nothing would have changed for us if she was arrested or we won a civil suit. Nothing could change the fact that my brother lived 8 months with a TBI that left him in a vegetative state before dying in a horrible way. What it comes down to is there will always be people that cause horrible accidents because of the decisions they make. Putting a person in prison or creating new retrictions/laws will not resolve the problem of car accidents. Just like gun control won’t resolve gun violence. But a long sentence keeps them off the road and away from driving tiil maybe they grow up. Y’all make it seem like you guys know exactly what Jose was thinking. He wasn’t thinking “Yes, I’m gonna drive home recklessly and kill someone.” This situation is horrible and I’m sure most of you guys know this is a driver’s worst fear. Unfortunately, it happened to him a not so experienced driver. I know he feels so much guilt and has to live with this for the rest of his life. I’m sorry for the man that was killed and his family I have you in my prayers but hate isn’t the way to handle this. I also have the Gutierrez family in my prayers I know that you guys have been going through a lot since your moms diagnosis and now this but you will get through this. If anything is ever needed please let me know. Is this the same Jose who is on probation for misdemeanor domestic violence as reported in the AVPress today?Loving and caring, maybe not. Let the AVPress know they must have read the court records wrong,will ya? Was it an “accident” he was charged with reckless driving? Accidents don’t just happen……they are caused by inattention. Jose should never legally be able to drive again…..after serving a very, very long prison sentence. I saw the skid marks this morning coming in. They were about 75 feet long heading straight across the double yellow. I would have to guess excess speed played the most significant part, particularly considering road conditions (dry and complete visibility). The speed limit is 55mph and the curve is not so treacherous that cornering at that rate poses much of a problem. Jose was a real good friend and for all you that are going against him think about it, step into his shoes what if it was you in that ACCIDENT, think before you speak ! A conscious decision to drive reckless, NOT AN ACCIDENT. Maybe Jose should have thought before he drove recklessly, maybe this TRAGEDY wouldn’t have happened. Once again, was it an “accident” he was charged with reckless driving? It was reckless driving that caused the “accident”. Go figure. Jose killed my uncle in the “accident” that day. If it were me, I would gladly accept the consiquences of my actions. Short of mechanical failure…. I fail to see how this could ever be justified as an “accident”. Damaging another vehicle in an ” accident” is much different than taking a life. If I were in those shoes, I would feel terrible. I wonder if he is able to sleep at night? Jose was a real good friend and for all you that are going against him think about it, step into his shoes what if it was you in that ACCIDENT grow up and think before you speak ! Jose made a conscious decision to drive recklessly, therefore, this was not an accident. In the process of making this decision, he killed one person, and injured many others. He must suffer the consequenCES for his deliberate actions. I feel sad for all involved, including Jose, he looks like a young man who will not do well in jail. He should get 4 yrs with 3 suspended so he’ll spend 1 year in County, 3 on supervised probation with community service. in exchange He should plead no contest to the reckless driving charges and have the manslaughter charge dropped or put in abeyance until he completes the full sentence. Of course a deal like this would require consent from the families of the victims. This however does not release Jose from civil action which could keep part of his paycheck in dutch for the next 10 years at least. He better hope the others make full recoveries and no one is left in a wheelchair. Agree completely, when he comes home in 8 yr. he will be a convict and he will learn nothing in prison that will make him a better man, only a bitter one, not because of having to serve his time but because of the environment he had to serve it in. The prison system needs a makeover, violent criminals should never be in the same environment with non violent criminals. I think his punishment should be 8 yrs of having to scrape dead accident victims off off the pavement every weekend for the next 8 years, if he is not working or in school, make it 5 days a week until he is in school or employed, make the punishment fit the crime. As a biker…our hearts are bigger than our engines. This kid screwed up. He took the life of a fellow biker. Could the biker speak from the grave he would be more likely to say …let the kid go. He would know the kid learned a lesson that day that he will never forget. If the kid is going to be punished then make it relevant..talk to other teens about reckless driving. Don’t ruin this kid’s life….let the charge come off his record in time…etc. That is the heart of a biker. I completely agree. He’s young. Prison would do him no good. I hear he’s a good kid. I AGREE, He messed up, but putting him away for years in prison is’nt going to help anyone. Jose or the families I PRAY also for everyone in this accident… He’s only 19 I believe he does need to have his lic. taken from him probation and some jail time. But not prison or Felon record, because Im sure this was an accident.. NO1 wakes up saying before I go to this place Im gonna hurt and killed some1 on purpose. HE’S STILL A KID!!!!! [removed] This wreckless driver (I don’t care how young he is. He’s legally licensed through the state…) ruined and changed too many lives in one careless second. And, that’s not just the innocent people he hit, but all that love(d) these folks, too. Way to go. Race at Willow Springs; DRIVE on Elizabeth Lake Rd., and stay on you’re own side of the road! A tragedy for all. Condolences to family, friends, and loved ones. I live up the street and drive that road daily. Please remember to be safe people. Hello Jose’s Family.. You should create a fund to raise money for Jose’s legal defense cost. I’ll be the first one to contribute. Whoever knows his Family, please ask them to open a bank account where we can deposit our contributions. All my co-workers and myself are waiting. This was an accident PEOPLE.. Yes, an Accident. This KID was not driving drunk. How MANY Bikers ride their bikes DRUNK? Almost every one. Did they test them for alcohol, or DRUGS? Obviously NOT, because they are different race. Anyway… Jose.. Even We don’t know you, we are here to help YOU. My parents were bikers and are teatotalers just like they were back then. They also were involved in a collision with someone that crossed sides on a road. Luckily they are still with us. Many motorcycle riders are not drunkards. Most do not drink when they are going to ride. Do they stop at places like The Rock Inn? Yes and order iced tea, or soda to go with their burgers and fries. None of that has to do with this ‘accident’ though. Jose G. was driving way to fast for the road. That caused the collision. He chose to drive that fast, it was a decision. A bad one, but not unexpected for the age group. I have to agree with Defining. As a waitress at The Rock Inn, I see many more bikers of all ages ordering water, ice tea and soda than alcohol. And the ones who do order a beer, usually don’t finish the beer, eat a huge meal and hang around for a while. Also, my husband is a 20+ year HD mechanic and probably 90% of the accidents he’s heard about from his customers (fatal or otherwise) were NOT the fault of the biker. Just wanted to put that out there. Michelle..Please, be honest to yourself…. Now you are going to tell me that “Snooky’s”, “Sharky’s”, and other similar Restaurants are frequented by “Water Drinkers” Bike riders?…. OMG…If this was the case… You would be getting pennies as tips…. You made me laugh a lot….You made my day girl…LOL!!! Coming from someone who couldn’t make it as a sheet metal worker….real winner! I’m ONLY talking about The Rock, from experience. I work the Saturday/Sunday bike crowd and I’m just telling it like I serve it. And by the way, tip wise I make approximately $27-$32 an HOUR, not including my paycheck. Have a nice day. Jesse, Did they test who? The dead and injured that were driving in the correct lane when they were hit? At the end of 75 feet of skid marks showing the car crossed over (aside from his admission)? “The other race?” Does one of them being black change your mind? How about half Mexican? Do you want to somehow bring gun control into this too? Or welfare reform? Ohh, I know, illegal aliens having licenses. You probably were sober when you wrote that and look what a moron you sound like. You made me laugh a lot…You made my day girl (boy?)…LOL!! Exactly Defining, I see multiple posts going on about the motorcycle riders and their actions. I see those posts as veiled thoughts of absolving the car driver of responsibility for his actions which killed the bike rider and seriously injured two others. Still haven’t seen the time and place for our meeting you [removed]! Dimitri…. Are you out of your mind?? ?, or What?… I live in the AV area, and you want me to drive to Oxnard?…. Please read and focus on the article…Why to blame an INNOCENT person for the actions of others???…. Did you seriously just say why to blame an innocent person for the actions of others? Thats exactly what you are doing, blaming the people who you have zero clue on who and what type of people they are, based on them riding a motorcycle and your preconceived notions of how motorcycle riders are. You do this while ignoring the fact that this young man was arrested and charged vehicular manslaughter and three counts of reckless driving because of HIS ACTIONS. You sit here and berate people because they give you different viewpoints and basically call them liars because you have this idea in your head about motorcycle riders without having a single clue about how a lot of them are. You need to open your eyes to reality son and realize these bikers had zero responsibility for this accident and the fault all lies on the young man charged. Save your guesses and assumptions for when you get to the L.A. County Jail, Bright Guy. They love that mouthy garbage in that place. Not here, Homey. The only “race” in question here is: how well did he qualify? Who was he racing? Did his car get loose? Did he lose a tire? Engine failure, maybe, that caused him to slide in his own oil? NO!! NONE OF THAT!! He was screwin around!! He deserves aaaaaaaaaall he has comin to him, and then some. Boy’s gone, and he should be, too….Bye, Boy! OK Jesse…. since you won’t post a time and place to meet for a NON-Violent discussion about you cockeyed view of this accident… I will. If you are not a coward as you come across… I will be in front of Target in Ventura, at 1PM Friday. I’ll be wearing a plaid Buffalo red and black, shirt. See you there. Jose WALKED away in hand cuffs, Peter lost his life, Richard, Patty, and Danny are working on recovering. Who thinks they own the road? These bikers? No. Pity for Jose? No. Did he even get a scratch? Every car is a loaded gun that I avoid every day to save my own life, dodging cars who don’t signal or even look over their shoulders, and tailgate each other forcing me to split lanes or risk my own death. This kid pulled the trigger and took a life and seriously hurt 3 others. On purpose? No. Responsible? Yes. I am sorry about all these losses…. is a horrible tragedy. But, I see a problem here.. A month ago a teen ran a red light killing 4 people and my friend on G and 10th in Lancaster, it was all over the news, the news never disclosed his name, and he was never charged of anything. .. his last name is not Gutierrez or Hernandez. He was white. How can that be explained? You are forcing me to chime in where I wouldn’t normally, but your comment is false. The collision on 10th and G was caused by a white female, she was not a teen she was 22, she didn’t run a red light she ran a stop sign, she was one of the four killed in the collision, so obviously she can’t be charged because she’s dead. Your friend was most likely the hispanic man killed in the car that was hit. Sorry for your loss. Two teens and the driver died in the car that caused the crash. It was certainly a tragedy. But had the female who cause it lived, she most likely would have been punished. There, I just explained it for you. At some point in life all of us that drive a car or any automobile have driven not according to law regulations we were just lucky to not cause an accident or hurt anyone what everyone needs to understand is that an accident is an accident if the guy was found clean of substances then why are you all accusing him as if he was a bad guy that pre planned this and deserves what’s happening to him no doubt there should be a consequence but that consequence already has begun he will for ever live with the knowledge of that day this could’ve happened to anyone everyone Keeps saying what if that was your dad well what if that was your son and he was clean and it was an accident don’t feel more sorry for the person that died take a look at it from every angle that kid probably wishes death upon himself for all we know rest in peace and may those who are hurt recover well may God be with them all. ACCIDENT: an undesirable or unfortunate happening that occurs unintentionally and usually results in harm, injury, damage, or loss; casualty; mishap: automobile accidents. My brother-in law Arturo was one of the persons that passed away last month when a teen ran a stop sign killing her self, her brother, her sister and my brother in law and sent two other people to the hospital. My family has no hard feeling towards these people because we know that it was a accident and know that this teens family is also hurting. My prayers go out to all. I friend died this weekend and all these posts point the finger somewhere else. Only those there know what happened. And for those of you blaming the so called speeding motorcyclist need to get your facts straight. Our chapter is not a croch rocket type club. We ride cruiser bikes. We are all older, retired love the road riders who have probably rode longer than most of you have been alive. If it weren’t for the skill of all these riders there probably would have been more dead. I just LOVE how the article don’t speak about how Jose was helping in every way he could after the incident occurred. And please explain to me how the bikers have no responsibility whatsoever in this when they were speeding? Earlier this year a 47 year old WHITE woman was being careless and reversed her car at a fast speed KILLING a 30 year old HISPANIC man on impact, her car crushed his body, he left a pregnant wife expecting twins behind, according to the system she was innocent, it was considered an “accident” and she walked out a free woman, yet she took a life and left a family without a father and husband behind. Get the heck over yourselves you racist pricks. Looks like you and Mr. Salas are trying to make this tragic collision into a racial thing. Yes, race is involved; the human race. One human caused the death of another human by (alleged) driving recklessly. Don’t be a race-baiter. Everyone has a right to give there opinion but my family and friends were amongst the ones aiding immediately after the accident happened and let me tell you this kid must have been driving more than 50 miles per hour on that curve. We at no time heard the skidding of any brakes as an attempt to brake. He took them out like bowling pins. By the way the driver DID NOT assist at any moment he was more in a state of shock. Just as we were this accident was horrible . The picture’s taken are nothing compare to being there physically. Thankfully there were several people trying to aid. MY condolences go out to the family who lost there loved one. Whether or not this kid was being wreakless one thing for sure he took a life away which no-one can replace. He seems like a good kid. I feel for everyone involved, this is just sad. IT WAS A ACCIDENT!!!!! HE IS SORRY!!! Your all acting like Jose say let me go out and run down some people today! If he could take back the day he would but he cant do any thing about it NOW!! Putting him in jail wont bring back these people!! make they RIP. Ugh!~ This is so unfair!!!!!!!! Hey Carla! He is also charged with three counts of reckless driving,,,,, is that an accident also? So tell me bob why weren’t the rest of the motorcyclist drug tested, today at court it was mentioned that the bikers where all driving over the speed limit!!!!!! All of them!!!! So what does that make them? Responsible for their actions also no? You are all being unfair to a young boy who didn’t do it intentionally. So shame on all of you. I knew Peter and he did not do drugs. Rose what does it matter that they werent tested? They didnt cause the accident. So because they MIGHT have been going over the speed limit and got hit by someone else driving recklessly they are somehow at fault? Amd maybe of Jose hadnt beem driving so fast in a corner the whole accident might have been avoided? Trying to place any blame on the motorcycle riders is an absolute joke. Bikers were not speeding and not intoxicated. Those are facts backed up by evidence and eye witnesses. You have no idea what you are taking about…. Rose, the people on the bikes were motorcycle enthusiasts, not bikers (outlaws) or druggies. They were all from out of the area, so maybe they weren’t aware of the conditions on the curve, thus possibly going over the speed limit. ON THE OTHER HAND, Jose, on his way home from work, was obviously VERY FAMILIAR with that stretch of road and that, I am sure, will be a huge factor during his trial. I feel for Jose, but his recklessness has caused so much pain… My thoughts and prayers to the motorcyclists and their families. I’m a relative of the ones still in the hospital. No they were not on drugs or drunk. Sorry they must’ve been too busy saving their lives to test them. By the way Jose crossed over into oncoming traffic so regardless if the bikers were over the speed limit they would’ve been hit. My family members are hardworking Christian ppl and didn’t deserve this. Yes you may say it was an accident and he didn’t purposely go out to kill someone that day but the fact is he did. Ppl don’t realize your 3,000 lb vehicle is a weapon when used wrecklesly. He needs to pay the price. Wouldn’t you want it that way if that was your father that died? Or your parents who will now be disabled for the rest of their lives? He needs to take responsibility for his actions. Yeah hes sorry but maybe he should have thought before he acted. He needs to be in confinement and think about the people effected by it. The grief he has caused has hurt a lot of people. These people were innocent and he was being reckless and injured/killed for no reason. If it was your dad that got killed or your parents that got hurt. how would you feel? i think that Carla would feel just as bad if it was her brother uncle grandfather husband being accused. Having someone in prison for an ACCIDENT probably hurts just as bad. I am sure he is sorry. Let me ask this Carla. Someone gets behind the wheel of a car, drives recklessly and runs you down killing you without intending to, but his actions were contrary to every responsibility he had agreed to undertake as a legal driver. How do you fell society should hold that person responsible? How do you think your parents would want that person punished. He is punish right now thinking how the accident hurt so many people!!! But it cant undo!! jail with robbers and thugs will turn him to a real criminal. Thats not the answer for a ACCIDENT!!! He can speak to schools and let people know to watch the road and be careful so this mistakes won’t happen again. Jose can learn from this accident but not in jail! it will kill him!!! If it kills him then he can apologize in person to the biker. Hey Carla, if you were Jose’s friend, maybe it’s your fault… Cause friends don’t let friend drive reckless and kill people. Be real, your argument is about unfairness… what a red herring! José killed someone, José must pay. Unbelievable if convicted only eight years for killing someone and not knowing the future of the two others that if they survive will their injuries affect the rest of their lives. It should be “If you take a life you should do life” end of story…… The justice system is not working the way it should. Every biker there knows they were! Rose, it is horrible to think a young man murdered someone with his car because of some stupid mistake. I get your outrage that he “may” spend up to 8 years in prison. As a mother we all fear the mistakes our boys may make, knowing it can cost a life if they live thinking they are invincible (which is most young men). However, what he did was wrong. There are reason for laws. He did not obey these laws. He caused death with his actions. Therefore there has to be some kind of consequence, if there isn’t then why follow the rules? Please do not make light of these deaths. Statements that because they are bikers they must be on drugs. Thats like saying if you are mexican you must be illegal or a gang banger. It is so way of base. I agree, life for a life…. It’s always sad, when someone loses their life at the hands of someone else…. My thoughts & prayers go out to those that knew Pete. I was told today that he is my cousin, but i did not know him. My mother on the other hand did. They went to school together in Westby, Wisconsin. I’m just hoping that Jose was at least sober, & not all f%*k’d up on anything. If he wasn’t sober, i can only pray that he gets what he has coming to him! Again, I’m very sorry for your loss. Jose was not drunk or under influence. They tested him and he came clean. He was coming from work and thats a very hard road to drive. Almost impossible to turn that corner without going over the line. They need to fix that stretch for many years. 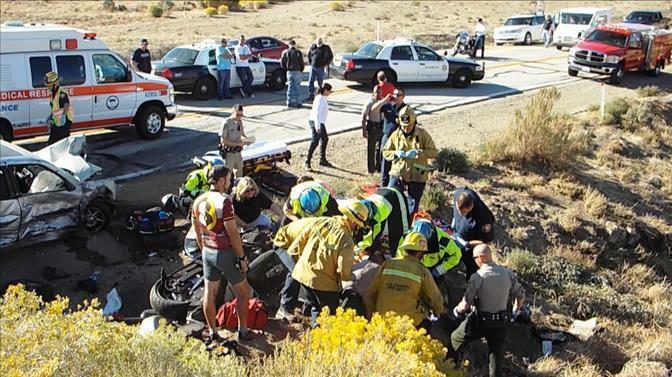 The victims should sue for hazardous roads that caused this accident and destroy five lives, the four bikers and Jose. Just like the victims, Jose will never recover from this. Then he shouldn’t have been driving so fast. I drive that road all the time. And if you drive slower you won’t [removed] crash. I’m sick of seeing innocent people killed because of some [removed] trying to race around in a car they think is invincible. If he didn’t want the emotional damage and consequence, he should have been driving like a decent human, instead of a reckless [removed] teenager. Yes, god forbid people take responsibility for their choices. If the curve is tight, slow down. They teach that in driver training, you know. Let’s blame the earth for being round and making it hard to drive straight. Everyone’s fault but the driver’s, I guess. Hey Key, you stated, “Jose will never recover from this”. I guess the guy he killed because of his three counts of reckless won’t be recovering anytime soon either. Get a clue! That’s, “three counts of reckless driving”. So sad for all parties involved! May everyone be comforted in this time of need!